1. Susana's sister lived near me on Hickam AFB. In fact, our sons attended the same scout troop. My family also walked their dog, Trusty, during their extended trip off island. 2. I've shared my adventures around the island of Oahu with my friends (and authors) NL Gassert (link) and D. Renee Bagby (link). Renee, NL, and Ivy at Ka'ena Point. 3. D. Renee Bagby featured Susana on her "D. Renee Bagby Presents First Chapters" (link). 4. Susana is a a member of the Maumee Valley Romance Writers of America - MVRWA (link). 5. The MVRWA also includes Rue Allen, a member of the RomVets (link), "military women who have turned the sword to pen". 6. I am also a member of the RomVets - I traded my military keyboard for a blogger's forum to promote romance authors like Susana Ellis! amidst a backdrop of rural Christmas traditions. Lucy knows that she owes it to her younger sisters to encourage Lord Bexley's attentions, since marriage to a peer will secure their futures as well as hers. The man of her dreams has always looked like Andrew Livingston, her best friend's brother. But he's always treated her like a child, and, in any case, is betrothed to another. Perhaps the time has come to put away childhood dreams and accept reality…and Lord Bexley. Andrew has returned from the Peninsula with more emotional scars to deal with than just the lame arm. Surprisingly, it's his sister's friend “Little Lucy” who shows him the way out of his melancholy. 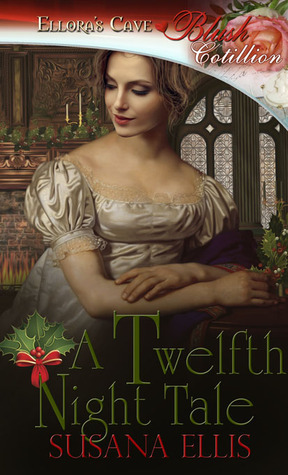 He can't help noticing that Lucy's grown up into a lovely young woman, but with an eligible viscount courting her, he'll need a little Christmas magic to win her for himself. 1. Leave a comment about "Lucy" - do you know anyone with that name? I don't ... but I LOVED LUCY! 3. Comments are open through Saturday, November 23, 10 pm in Baltimore. I'll post the winner on Sunday, November 24. I don't know a Lucy, but I do like Lucy Lawless. Our first dog, a beagle, was named Lucy. Actually, it was Lady Lucinda II lol. We got her when my husband was stationed in Gulfport forom a nearby family. She was papered but all the rest of our pets (and there have been many) have been rescues and strays or ferals. Actually, I don't know a Lucy. I don't think I ever have. At Kinder we had a little girl called Lucy, she was very sweet. I do not know anyone named Lucy but I did love that sh ow. My step-brother's friend married a girl called Lucy. They called her "juicy Lucy". LOL ....... I also loved watching "I Love Lucy". I still watch it sometimes, as I find Lucy hilarious. We have friends who have an adorable grandchild named Lucy. I don't know anyone with that name but I thought of I love Lucy too. What a fun post. Susana is in The Beau Monde with me. Tweeted and shared on FB. I have never known anyone by the name of Lucy. I remember watching I Love Lucy and laughing a lot! Growing up our neighbor's daughter was a Lucy! I have never met a Lucy, that I can remember. There is Lucy the Elephant down the Jersey shore.